hat if you lived in a world where cancer -- or any other disease -- was no longer a threat to you? What if you never had to experience the horror of receiving a doctor's chilling diagnosis of a terrible disease -- or watch helplessly as someone you care about suffers from cancer or some other life-threatening disease -- with you not being able to do anything about it? What would you be willing to give to ensure that you and your loved ones would never need to suffer -- or die -- from so-called "incurable" diseases that are actually curable? Imagine never having to worry about getting the flu again -- or suffering from migraine headaches, gum disease, sinusitis, anemia, lupus, bronchitis -- and any other disease, for that matter. What if you no longer had to live in fear that one day you'll develop a disease that "runs in the family" or get diseases that naturally come from "getting older" or from bad lifestyle choices? And what if you had a one-minute cure (which costs only 1½ cents a day to self-administer) that could get rid of virtually any disease in the event that you actually acquired one? I know, I know. You're probably thinking, "That just can't be true! How could one simple remedy possibly cure all diseases? There's no such thing as a panacea." Well, you have every reason to be skeptical. I know I was. But if you can suspend your disbelief for a moment -- you're about to learn the most amazing health secret anyone could ever possess. Your life -- or the life of your loved one -- could very well depend on this information. a remarkable, scientifically proven natural therapy that creates an environment within the body where disease cannot thrive. This therapy does not cure disease but enables the body to cure itself of disease. in not only killing diseased cells but also simultaneously revitalizing and rejuvenating healthy cells, thereby creating vibrant energy and well-being. how this safe, inexpensive and powerful healing modality has been administered by an estimated 15,000 European doctors, naturopaths and homeopaths to more than 10 million patients in the past 70 years to successfully treat practically every known disease. If you or someone you care about suffers from, or are at risk of acquiring, any disease, this will be the most important article you'll ever read in your life. You'll discover why this simple therapy has the potential to save the lives of millions of people; how it can dramatically improve the quality of our lives by eradicating disease; and how it could potentially solve the health care crisis in this country. You'll also find out why information about this groundbreaking therapy has been deliberately kept secret from the American public -- and why you must grab the earliest opportunity to learn about this one-minute therapy before this information is banned by enterprises, cartels and agencies whose financial interests are threatened by it. Before we get started, here's why thousands of physicians, researchers and health practitioners who administer this simple therapy are calling it the . . .
"World's Greatest Healing Miracle of All Time"
wo-time Nobel Prize-winning doctor, Otto Warburg, shocked the world when he revealed that most disease is caused by insufficient levels of oxygen in the body. In fact, his studies showed that if you deprive a cell 35% of its required levels of oxygen for 48 hours, the cell is likely to become cancerous. That's why cancer is so widespread in our modern society -- because most people suffer from oxygen deprivation. What most people don't know is that lack of oxygen is not only the underlying cause of cancer but is also the cause of most diseases -- from AIDS to yeast infections. Curing cancer and other diseases, then, is just a matter of getting rid of the cause of the disease. It's as simple as that! But it's human nature to complicate the solution, and turn the simple into something complex. Current medical research, for instance, is focused on the wrong causes of disease. Some claim that viruses, microbes, germs or harmful bacteria are the cause of cancer and other diseases. Others say it's the toxins in the food we eat, the air we breathe and the substances we consume. And still others say it's our genes or stress that causes us to acquire disease. While all of these factors do characterize most diseases, or might be precursors or by-products of disease, they do not CAUSE disease. Rather, they bring about a condition in the body (oxygen deficiency) that, in turn, causes disease. Clearly, the primary physical cause of all diseases is linked in one way or another to oxygen deficiency -- and when the human body is supplied with abundant amounts of oxygen, all cancer cells, viruses, harmful bacteria, toxins, pathogens and disease microorganisms are killed because they cannot survive in a high-oxygen environment. Since an oxygen-rich body is uninhabitable by disease, then the solution for eradicating disease seems simple enough, doesn't it? Just supply the body with an abundant supply of oxygen, right? ost humans are NOT able to get proper amounts of oxygen in their cells and tissues -- due partly to poor air quality, poor breathing habits and oxygen-depleting activities. More importantly, the human body is NOT always able to deliver oxygen to the cells and tissues. In order for oxygen to eradicate disease, it must be delivered not just to the lungs -- and not just to the bloodstream -- but to the cells and tissues of the body. That's why other oxygen-based therapies -- such as oxygenated water, oxygen-rich foods or supplements, or treatments that release oxygen into the bloodstream -- are not always effective in treating disease. While they may supply the body with oxygen, they don't always have an efficient mechanism for breaking the oxygen free from the hemoglobin molecule, which means the oxygen is not delivered to the cells and tissues. Such oxygen-based therapies, therefore, are seldom effective in preventing and curing disease. than is usually reached by other means. It does this by increasing oxygen and hemoglobin dissociation, thereby maximizing the delivery of oxygen from the blood to the cells, according to a prominent doctor best known for treating AIDS patients with a holistic protocol which includes oxygen therapy (see page 97 of The One-Minute Cure). This is an excerpt from a real-life case study. Dr. Lance Moriarty, the Director of a medical clinic in Nairobi, Kenya (where 1 out of every 8 people is infected with AIDS or HIV), reported that "Patients have literally been dragged back from the brink of death" from the use of the natural oxygenating substance revealed in The One-Minute Cure. When the substance was administered to 50 patients who were suffering from AIDS or the HIV virus, 30 of them went into immediate remission -- and the rest of the patients reported an increase in stamina and a sense of well-being they never had before. This success rate is unheard of in the medical and pharmaceutical world where AIDS is still considered incurable! Dr. Moriarty went on to say that whenever the one-minute cure is administered throughout the community, "People come back to life! It blows my mind!" 'm Madison Cavanaugh, and I’ve been both an aficionado and avid researcher of natural and wholistic approaches to health for the last 30 years -- and have also written articles about them as a contributing editor for natural health magazines and publications. As such, I’ve witnessed an endless parade of “natural” remedies and therapies go by -- some having merit and others providing little or no health benefit at all. In 1999, my father died of colon cancer after a long, hard battle that was exceedingly painful for him to bear (and for us, his family, to witness). My grandmother also died of brain cancer not long before that. We saw her writhe in agony during the last few months of her life, the doctors unable to do anything -- even to ease her pain. ...my sister, who was stricken with cervical cancer a few years ago -- and my mother, who was diagnosed with breast cancer in 2006. Both of them are presently in remission because their respective cancers were surgically removed. But as with most cancer survivors in remission, there's always a constant fear that cancer will return with a vengeance. When it dawned on me that cancer had struck 3 members of my immediate family -- it was a terrifying realization. It was then that I began to search desperately for a cancer cure amidst the overwhelming array of so-called "miracle cures" available both online and offline. Little did I know that I was about to stumble upon something much more than I could have ever expected. I was reading something about oxygen therapy one day when I came across something entirely by accident -- something that was positively astounding. Since I had known about oxygen therapy for years, and had even written articles about it on a few occasions, I was tempted to ignore the information and think (arrogantly) that I knew all about it already. I’m glad that, instead, I chose to take a closer look. hose who know me know that I'm not one who readily buys into "miracle cures" -- nor am I easily swayed by other people's opinions or anecdotal reports. I've been a health researcher too long to get "sold" on bogus "snake oil" products masquerading as health breakthroughs. What's more, I've never believed that there's such a thing as a cure-all or panacea -- and I'm also extremely wary of exaggerated health claims provided by individuals or enterprises that stand to make huge profits from the proliferation of those claims. But the more I expanded my research into this one-minute cure which involves a natural oxygenating substance, the more I was dumbfounded by the mountains of evidence showing that this therapy has been used in various parts of the world by thousands of health practitioners to heal cancer and every conceivable disease. It was also encouraging to discover that greedy commercial enterprises are not able to exploit this one-minute cure because the natural substance is dirt cheap -- just 1-1/2 cents a day to administer -- and neither can it be patented by profiteers. My skepticism turned to conviction when I realized that this one-minute cure is . . .
eliminates the REAL cause of disease! That's why it has such a far-reaching and broad spectrum effectiveness in curing ALL diseases. And just to set things straight, it's never a substance, a pill or a remedy that cures someone of any disease. It's the human body that cures itself. But ONLY when it is supplied with what it needs (sufficient oxygen) to do what it was designed to do -- that is, maintain health and keep diseases away. I decided to administer the one-minute therapy on myself, and was amazed that within 2 weeks, it enabled my body to eradicate a chronic, throat inflammation I'd had for 6 months, and which I feared might one day become cancerous. My husband used the therapy as well with spectacular results. His life-long lymphatic condition, characterized by excessive mucous discharge and breathing difficulties, was completely healed in a matter of days -- despite the fact that none of the countless things he had tried before worked. Colds and flu have also become non-existent in our household since we started using the one-minute cure. And another unexpected benefit I got was that my energy levels increased so significantly that I've been able to easily work 12- to 14-hour days whenever I had to -- with lots of energy to spare! That's when my heart pounded with excitement, realizing that this may be the closest thing to a panacea that I've ever encountered. I began wondering why I hadn’t encountered information about this therapy before, and more importantly, why the whole world didn’t already know about this. I soon realized why. CAT Scan Proves That Cancer Disappeared! This is a real-life case study reported by a medical doctor who wishes to remain anonymous. The name of the patient has been changed for privacy reasons. A 60-year-old man named David Palmer collapsed in his home one day and was rushed to the hospital. After undergoing an endoscopic examination and CAT scan, his doctor told him he had a cancerous mass the size of a grapefruit in his stomach. It was a large-celled lymphoma. A few days after his diagnosis, David learned about the simple therapy revealed in The One-Minute Cure, and began doing the therapy 3 times a week. Another CAT scan was done 7 weeks after he was first diagnosed with cancer -- and his doctor was amazed because the tumor had completely disappeared! Four months later, a repeat CAT scan was done, and again, there was no evidence that there was ever any cancer in David's stomach. n 1986 and 1987, two doctors from Stuttgart and Munich, Germany published case histories of dozens of AIDS patients whom they had cured with a simple therapy involving oxygenation of the body. The patients, who were all in the late-stage of AIDS, reversed their death sentences, were restored to health and lived normal lives again. As far back as 170 years ago, during the reign of Queen Victoria, the people of India (which was then a colony of England) were cured of a variety of illnesses -- from minor ones like colds and flu to serious ones like cholera and malaria -- with this one-minute, self-administered therapy. This is the simplest, most effective and most inexpensive therapy for providing the body with health-giving oxygen, and maximizing the delivery of oxygen from the bloodstream to the cells. It is also the secret that both the American pharmaceutical industry and the medical establishment don't want you to know. That's because this simple cure for virtually all diseases threatens the livelihood and the trillion-dollar earnings of the pharmaceutical and health care industries -- not to mention the medical centers and physicians that make a great living from providing expensive drugs, complex medical procedures and long hospital stays. Even though over 6,100 articles attesting to the success of this simple therapy have been published in European scientific literature, this information has been aggressively suppressed in the U.S. via an elaborate scheme of media manipulation, control, infiltration and economic incentives that are all designed to systematically deceive the public into thinking that pharmaceutical drugs are the only solution to disease! American doctors who employ this therapy to cure a wide variety of "incurable" and life-threatening diseases, or endorse the therapy in any way, come under heavy attack by the medical establishment and are threatened with hefty fines, the revocation of their medical licenses -- and sometimes even face federal prosecution by the FDA. have been changed for privacy reasons. Rick Dorrington was brought to Dr. Michael Erwin's clinic with a terminal case of emphysema. He was extremely thin, wheelchair-bound, and had a portable oxygen tank with him at all times because he had so much trouble breathing. Dr. Erwin began administering the natural oxygenating substance revealed in The One-Minute Cure to Rick. After only 4 treatments, Rick no longer had to use his wheelchair, and he discarded the oxygen tank altogether. He was also able to sleep flat on his bed without having to be propped up because of breathing difficulties -- and his appetite returned, accompanied by a healthy weight gain. This remarkable recovery is unheard of among emphysema patients! In a hurry? Click here to get The One-Minute Cure now. This Book Could Be Banned -- It Reveals Too Much! he more I shared the simple therapy with other people and witnessed the life-changing results they got from using it, the more convinced I became that it would be a disservice to humanity to keep this vital information available only to the limited number of people who stumbled upon it by accident (like I did). That’s why I sat down and wrote The One-Minute Cure: The Secret to Healing Virtually All Diseases. WARNING: The self-administered therapy which is detailed in the book represents the biggest threat to the revenues of the pharmaceutical and medical industries. It's a bigger threat than all the alternative healing therapies, nutritional supplements, natural foods and products combined. That's why you must learn the one-minute therapy as soon as possible -- and make sure the people you care about also learn it -- before Big Pharma gets wind of it and forces this book out of circulation. If you think this can't possibly happen, think again. The pharmaceutical industry has assembled a pharma-cartel consisting of an army of lobbyists that influence not only the entire medical industry, but also federal agencies and the U.S. Congress. The pharma-cartel is so powerful that it has been able to influence the Food & Drug Administration (FDA) to seize, destroy or prevent the publication of books that threaten the pharmaceutical industry's profits. For instance, the FDA actually ordered the burning of books about stevia, a natural herbal sweetener which has been safely used for hundreds of years; does not alter blood sugar levels; and is dirt cheap. Why? Simply because stevia threatened the profits of the pharmaceutical company that manufactured aspartame (artificial sweetener). You can just imagine how much more vigilant they would be against The One-Minute Cure, which threatens the earnings of the entire industry because it could potentially make most drugs and medical treatments unnecessary! The pharma-cartel is so powerful that it can even influence Congressional legislation to protect its profits and outlaw anything that threatens its continued profitability. Mark my word -- they will do everything in their power to suppress the dissemination of the information revealed in The One-Minute Cure: The Secret to Healing Virtually All Diseases. In fact, right at this very moment, a PR campaign is already being waged to discredit and spread malicious untruths about the natural oxygenating substance, which is the main ingredient of this one-minute cure -- even though the substance has been given the GRAS designation -- Generally Recognized as Safe -- by the FDA. A famous U.S. doctor, who has written 17 nutrition-based books, some of them New York Times bestsellers (see page 105), was threatened with a revocation of his medical license when he attempted to prescribe this therapy in his medical practice! Many medical clinics that have offered the therapy to patients have also been shut down -- and health practitioners have been imprisoned or threatened with jail time for the same reason. So if you delay, don't be surprised if you return to this website at a later date and find that the book is no longer available. If you don't get it today, there's no telling if you'll get another opportunity to do so -- even when you decide later that you want the book. "Most dramatic recovery from multiple sclerosis in 30 years of medical practice"
This is a real-life medical case reported by a doctor who wishes to remain anonymous. The name of the patient has been changed for privacy reasons. A patient named Daniel Keller came to Dr. Frank McCarthy's medical clinic unable to walk. He had been diagnosed with multiple sclerosis 14 years earlier, and his symptoms, which had become severe, included slurred speech, blurred vision, loss of libido and complete loss of mobility of his right leg, which meant he was dependent on a wheelchair for mobility. Daniel had previously seen many physicians and had spent tens of thousands of dollars on medical treatments, but he experienced no improvement whatsoever. He was told to expect his condition to only get worse over time. Dr. McCarthy decided to administer the natural oxygenating substance revealed in The One-Minute Cure. After 20 treatments given over a period of only 8 weeks, Daniel was able to not only walk again, but also drive his car -- and the other effects of multiple sclerosis also resolved. Dr. Keller declares that in almost 30 years of practice, this was one of "the most outstanding cases" of recovery from multiple sclerosis he had ever encountered. Good news for arthritis sufferers! As far back as 1914, Dr. Edward C. Rosenow (Mayo Clinic) demonstrated that this natural oxygenating substance kills the oxygen-hating organisms that cause arthritis (streptococcus viridans). This is a real-life case with medical records to prove it. The name of the patient has been changed for privacy reasons. Carla Trueman had the worst possible case of lupus, with severe complications including inflammation and swelling of the brain, open sores and nephritis which almost led to kidney failure. Since she was part of a medical study being conducted at a university, the university specialist prescribed a drug called Cytoxan for treatment, but because of the many possible side effects of the drug, she refused to take it. Instead, she began self-administering the natural oxygenating substance revealed in The One-Minute Cure everyday. Her case was later presented at the medical school, and when they examined her and found no sign of lupus, they questioned whether she ever had lupus at all. 'm sure you've heard the saying, "If it sounds too good to be true, it probably is." I thought the same way because it was hard to believe, at first, that a single substance could have such far-reaching and broad spectrum effectiveness in curing all diseases. But my skepticism melted away when I saw the undeniable evidence consisting of countless people that were healed of practically every disease. Although we have thousands of real-life testimonials from real people who have successfully reversed a wide variety of diseases via the one-minute cure, the FDA and FTC prohibit us from posting them on this website because as far as they're concerned, "only a drug can legally make the claim of treating, curing or preventing disease." In my opinion, this is all part of Big Pharma's stranglehold on free information about your health, and their aggressive attempts to hide natural healing therapies from you (so they can enrich themselves from your continuing pain and suffering). But the results speak for themselves -- there is an extensive number of diseases that have responded well to (and have been reversed by) the simple natural therapy described in the book. Alternative health practitioners, as well as researchers and doctors, have yet to find a disease that does not respond well to this therapy. And best of all, when used properly, there are no known risks. Unlike other therapies or health products that employ the use of oxygen for therapeutic purposes, this therapy uses a safe and natural oxygenating substance that effectively delivers the oxygen atoms from the bloodstream to the cells and tissues. It does this by increasing oxygen and hemoglobin disassociation, thereby maximizing the delivery of oxygen from the blood to the cells, according to a prominent doctor best known for treating AIDS patients with a holistic protocol which includes oxygen therapy (see page 97). The simple therapy described in The One-Minute Cure: The Secret to Healing Virtually All Diseases, which you can self-administer at home in less than 1 minute, instantly floods your cells and tissues with oxygen, thereby creating an environment in your body that is uninhabitable by disease. That's because disease microorganisms, viruses, microbes and pathogens are anaerobic, which means they seek out and thrive in low-oxygen environments -- and die in high-oxygen environments. Your healthy cells, on the other hand, are aerobic, which means that they not only thrive but become rejuvenated and revitalized in the presence of oxygen, thereby promoting vibrant health. "The definitive answer to disease"
"This book is worth far more than its weight in gold!" "I watched family members (mom and brother) die of cancer in recent years. No matter how well-meaning the doctors were, they couldn't help because all they were taught in med school was to prescribe surgery, chemotherapy or radiation, none of which cured my mom and brother but maybe hastened their deaths. The One-Minute Cure has really opened my eyes to the hidden agenda of Big Pharma that wants to keep us sick because they earn more profits from our ongoing diseases. "Every household must have this book"
"This book is a gift to mankind!" "Wow! is the only way to describe this book"
"I have been a user of alternative medicine and self-healing principles and modalities for years, even selling Aerobic Oxygen® back in the 70’s. When I came across the website of The One-Minute Cure, I suspected that this ‘secret to healing virtually all diseases’ was probably oxygen or an alkaline pH, but the answer was so well hidden that curiosity made me order the book. I am SO THANKFUL I did! Back in 1986, I already used the natural oxygenating substance that the book talks about …and it didn’t work! It turns out that, yes, it does work…but at that time, I only had HALF the information! This book gave me that missing knowledge and so much more. "Your book has had a PROFOUND impact on me"
"...the spearhead of a health revolution!" "One of the best books on health I read in 40 years"
-- the best I've ever read on healing"
Will This Therapy Work for You? s mentioned earlier, over 6,100 articles in scientific literature have attested to the success of the simple therapy described in The One-Minute Cure: The Secret to Healing Virtually All Diseases. An additional 50 to 100 scientific articles are published each month about the biological and therapeutic effects of the natural substance around which this therapy is based. This natural oxygenating substance has been used for over 170 years to successfully treat countless diseases -- even those that have been called incurable -- without the adverse effects that often accompany the use of pharmaceutical drugs. There is solid science behind the effectiveness of this therapy -- and now, you have the opportunity to prove its merits to yourself with absolutely no risk. Preview the book risk-free today. Note: Since only a doctor is at liberty to dispense medical advice, I must issue the disclaimer that I'm not making an attempt to prescribe any medical treatment -- and the information contained in the book is not intended to replace a one-on-one relationship with a doctor or qualified health practitioner. What I can guarantee is this: If the information in The One-Minute Cure: The Secret to Healing Virtually All Diseases isn't the most astounding health information you've ever encountered, or if you're not satisfied with your purchase for any reason, you lose absolutely nothing. You can request a refund within 60 days of your purchase, and you'll receive it cheerfully -- no questions asked. But I'm betting you won't want to be without this vital information -- and you'll probably even want to give a copy to everyone you care about. For less than the price of a single flu shot at a doctor’s office (which costs $35 to $45 these days), you and your family could be protected not only from the flu, but from virtually all diseases! A Bonus Report titled "How to Stop a Heart Attack in 30 Seconds." This report contains the secret to stopping a heart attack -- even when it is already in progress -- and prevent you and your family from experiencing one in the first place! Read the amazing story of 2 heart attack victims, who were already pronounced dead from a heart attack -- but after being administered this simple remedy, their hearts started beating again and they were "brought back to life." Every 26 seconds, someone in the United States suffers a heart attack -- and every minute someone dies of a heart attack. Every family must read this report and have this simple remedy handy as part of their emergency kit. But please understand that I can only guarantee you'll get this Bonus Report if you order The One-Minute Cure before midnight tonight. When you put all the sobering disease statistics together, you begin to realize that there's no escaping disease. 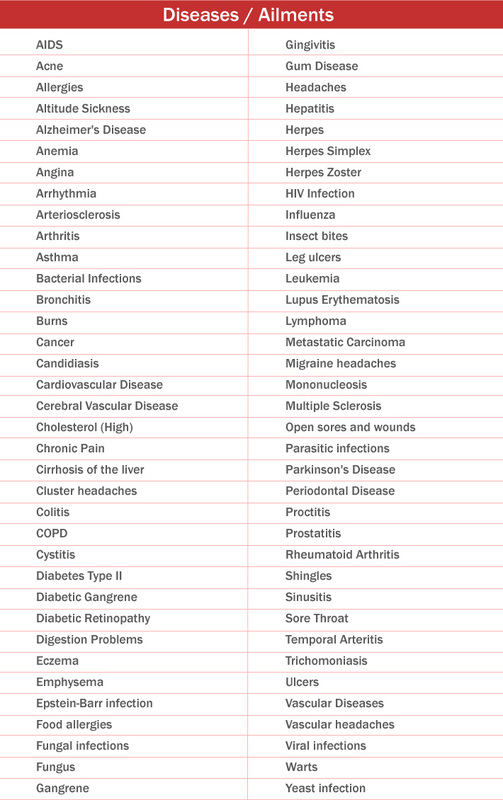 Whatever you do, there's a strong probability that you'll acquire one or more diseases in your lifetime (if you haven't already) -- and run the risk of even dying from it. The good news is that you and your loved ones no longer have to be the victim of disease. You no longer have to fear that disease will randomly invade your body and cause you to suffer or become deathly ill.
You no longer need to be terrified that your poor health habits or the unhealthy lifestyle you've had in the past will come back to haunt you in the form of some awful disease. What's more, there's no longer a reason to worry that you will one day acquire a disease that runs in your family (like cancer, for instance). And you won't have to dread getting older because of the "inevitable" degenerative diseases that could plague you as you age. When you finally realize that disease is nothing more than a condition that occurs when your body is oxygen deficient at the cellular level (and therefore an ideal habitat for disease microorganisms, viruses and pathogens) -- you don't have to be scared of it anymore. Even if you receive the diagnosis that you have an incurable -- or even fatal -- disease, you can rest in the knowledge that the disease is simply your body's way of telling you that your cells are oxygen deficient. And oxygen deficiency is a temporary situation that can be corrected -- if you know how! When you own The One-Minute Cure: The Secret to Healing Virtually All Diseases, you'll have the perfect remedy that will enable you to not only flood your bloodstream with oxygen, but also deliver the oxygen to your cells and tissues so that disease can never breed in your body. Your investment in the book is less than the price you'd pay for a single flu shot at a doctor’s office (which costs $35 to $45 these days) -- but the priceless knowledge you'll gain from it can protect you and your family not just from the flu, but from virtually all diseases! "Compelling evidence of a veritable cure-all..."
"Health Insurance" for 1½ Cents a Day? Interestingly enough, many of the world's well-known springs, such as those in Lourdes, France, and the waters of the long-living people of Hunza, which are known for their miraculous healing and age-reversing qualities, have been found to have high levels of this substance. It may well be the reason for the numerous health benefits derived from those springs. This natural substance costs only 1½ cents a day to administer. At $5.48 a year, that makes it the least expensive health insurance you could ever find! Not to mention the most effective method for preventing and curing virtually all diseases! Many of the practitioners of this simple therapy believe that this could potentially solve the health care crisis in America. The best part about this therapy is that it can be self-administered at home in less than 1 minute -- and when done correctly, it creates an oxygen-rich environment in your body where disease can neither survive nor thrive. It can also stop disease dead in its tracks quickly, if disease has already manifested. When you consider the simplicity of this therapy, its extremely low cost, ease of use, as well as its scientifically proven effectiveness in preventing and curing disease without adverse effects -- you begin to see why it's such a threat to the trillion-dollar pharmaceutical and health care industries. You also begin to realize that the individuals, enterprises, cartels and agencies whose incomes are affected by the dissemination of this information will do everything in their power to force this book out of circulation. Since they can't put a patent on the natural oxygenating substance that cures virtually all diseases, they may resort to the usual schemes of suppression -- including media manipulation and economic incentives for members of federal agencies and even Congress. Don't be locked out of your only opportunity to learn the one-minute cure. Get the book while you still can. Give a copy to everyone you care about ... to someone who's presently battling disease ... and to those who don't have health insurance -- as soon as possible. There isn't a person on earth who cannot benefit from this information. You will make a tremendous difference in someone's life by giving them this book -- or you might even save their life! For your sake, I hope you'll make the right decision in partnership with your doctor or a qualified health care professional. Here's wishing you a life filled with vibrant health and freedom from disease! Still have questions? Go to our Frequently Asked Questions page. Copyright © Think-Outside-the-Book Publishing, Inc. All Rights Reserved. * These statements have not been evaluated by the Food and Drug Administration. The information on this website is not intended to diagnose, treat, cure or prevent any disease. Disclaimer: The entire contents of this website are based upon research conducted by the author, unless otherwise noted. The publisher and the author present this information for educational purposes only. This information is not intended to diagnose or prescribe for medical or psychological conditions nor to claim to prevent, treat, mitigate or cure such conditions. The author and the publisher are not making an attempt to recommend specific products as treatment of disease, and neither do they have any financial interest in the sale of the substances described in this website. In presenting this information, no attempt is being made to provide diagnosis, care, treatment or rehabilitation of individuals, or apply medical, mental health or human development principles, to provide diagnosing, treating, operating or prescribing for any human disease, pain, injury, deformity or physical condition. The information contained herein is not intended to replace a one-on-one relationship with a doctor or qualified health care professional. Therefore, the reader should be made aware that this information is not intended as medical advice, but rather a sharing of knowledge and information from the research and experience of the author. The publisher and the author encourage you to make your own health care decisions based upon your research and in partnership with a qualified health care professional.